Anglicare Southern Queensland engaged Opus and Grey Space Architecture to design and document a new 105 bed Residential Aged Care Facility on their greenfield site at Taigum, providing an opportunity to relocate existing residents housed onsite in an adjacent facility in a new, vibrant, efficient and functional home. The tender was won as a design competition using our detailed and innovative understanding of the industry and its demands in relation to cost, program demands, operational challenges, staffing parameters and competition in an upcoming CDC framework. 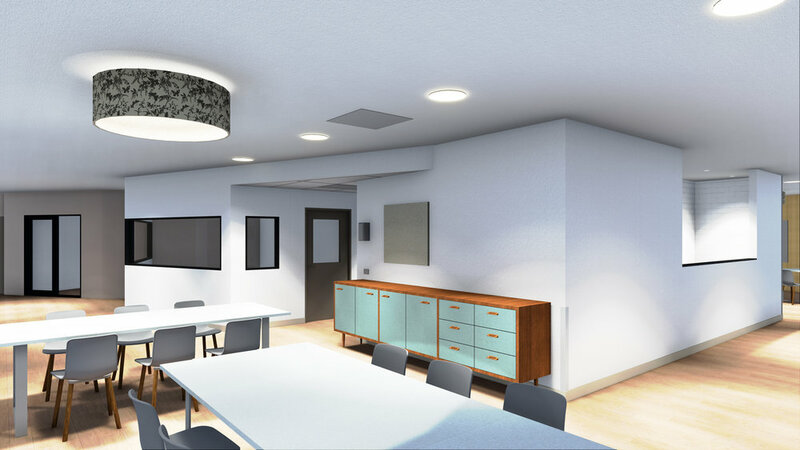 Grey Space drove and overviewed the architectural layouts from concept to fruition and liaised closely with all stakeholders throughout the commission to ensure operational suitability, risk, suitability and budget constraints were met. We were also engaged separately as the Interior Designers on the project and provided detailed design, presentations, scheduling, specifications, design options, colourboards and liaison services in this respect. Grey Space facilitated and presented to key management and project stakeholders at a Design for Dementia workshop at Anglicare SQ. This half-day discussion was centred around appropriate built-environment considerations to suit the independence and comfort of residents in a dementia-specific wing and resulted in the adoption and support for an innovative solution to the planning, fitout and detailing at Symes Grove. As experts in designing for Dementia, Grey Space offer up-to-date and informative real-world insight into the difference that the right built environment can make on wellbeing as well as behaviours, and the associated operational efficiencies gained with the right design approach. 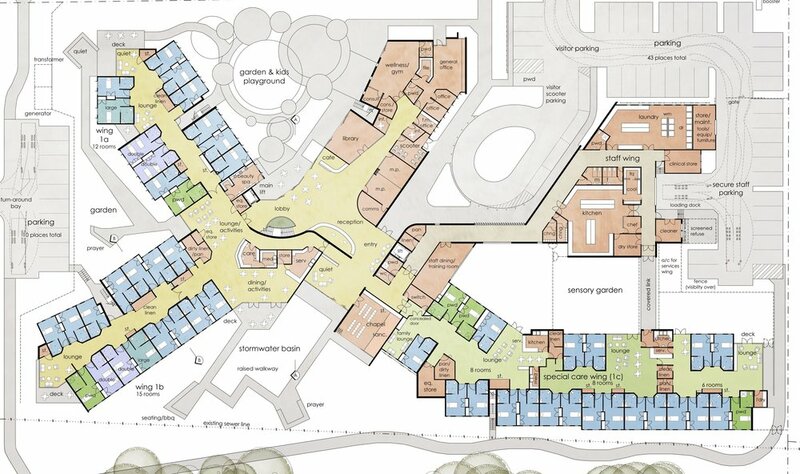 Symes Grove is currently under construction and we are proud to have been a key collaborator on this project.